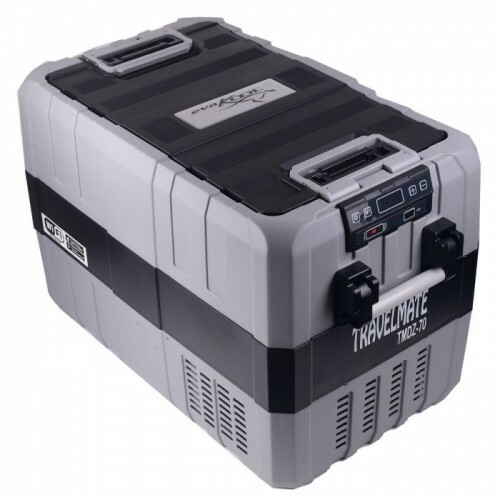 The TMX55 TravelMate portable fridge freezer is a great companion for all your boating, four wheel driving and camping adventures. 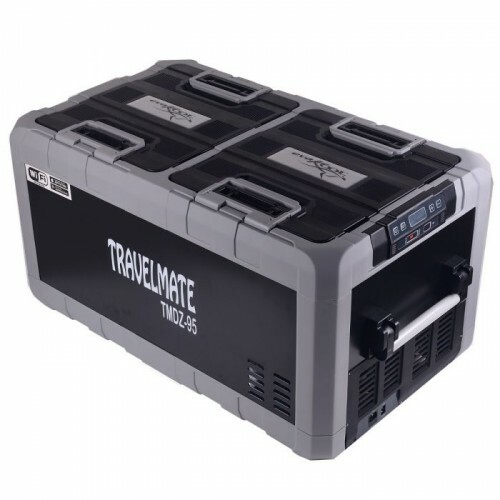 Travelmate incorporates the world renowned Danfoss compressor technology and a highly efficient rollbond evaporator that offers low power draw, quiet and efficient operation and trouble free enjoyment. 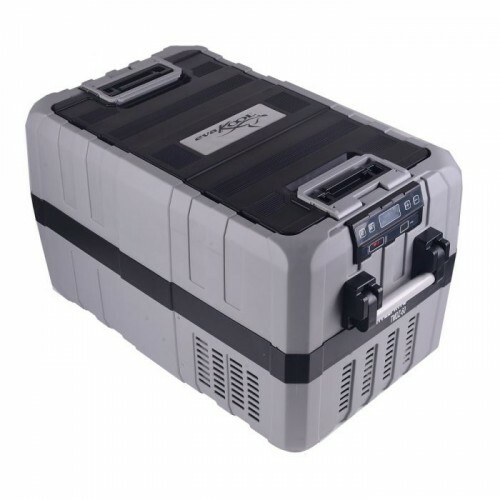 Whether you're camping, fishing, having a picnic or relaxing on the beach the Evakool TMX55 TravelMate portable Fridge Freezer is the perfect choice. 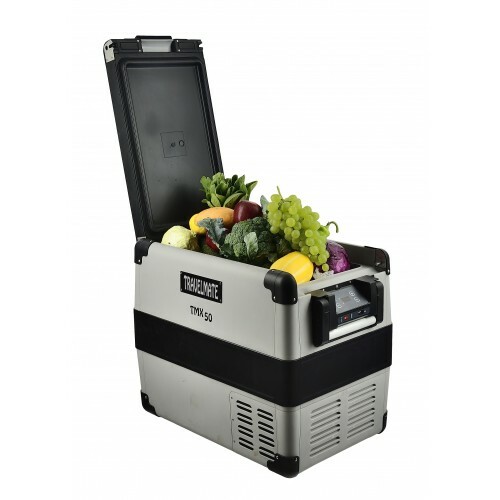 The TMX55 is an efficient and robust portable compressor fridge or freezer designed to keep your food and drink fresher for longer. 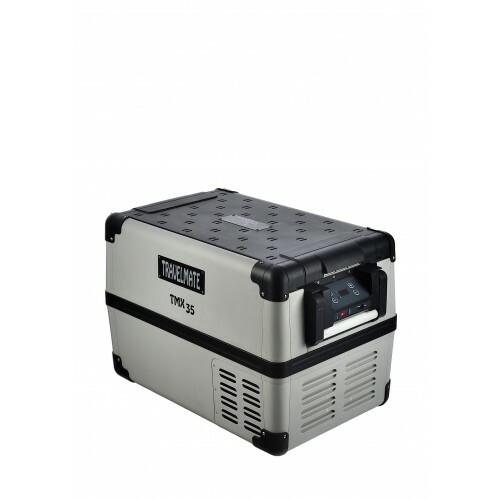 Simply choose the temperature between +10 °C and –22 °C to best suit your cooling or freezing needs. 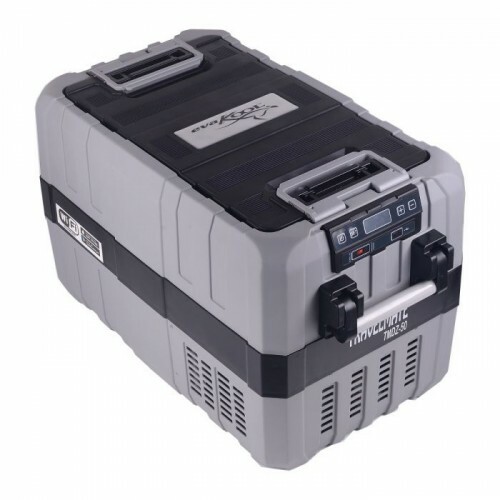 Take it with you in the caravan, camping or on the boat, basically anywhere you have access to 12 or 24 V DC or 100–240 V AC. 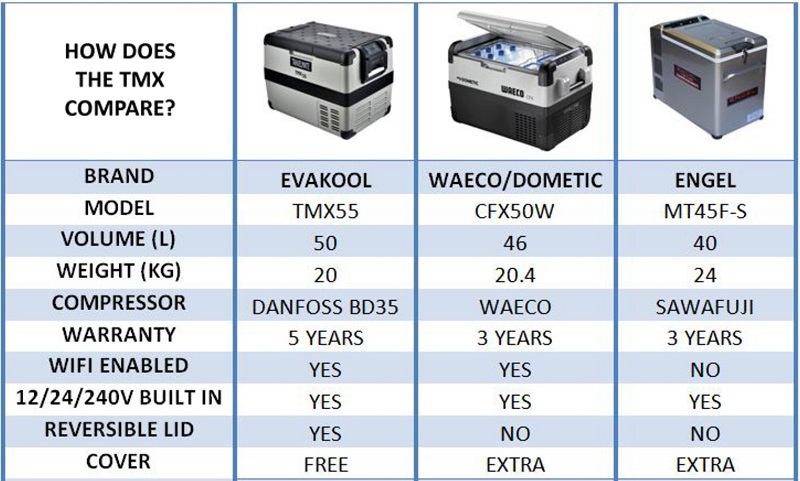 The TMX55 has been designed with the latest technology. You are able to easily download the EVAKOOL App from the Google Play or Apple iTunes store. 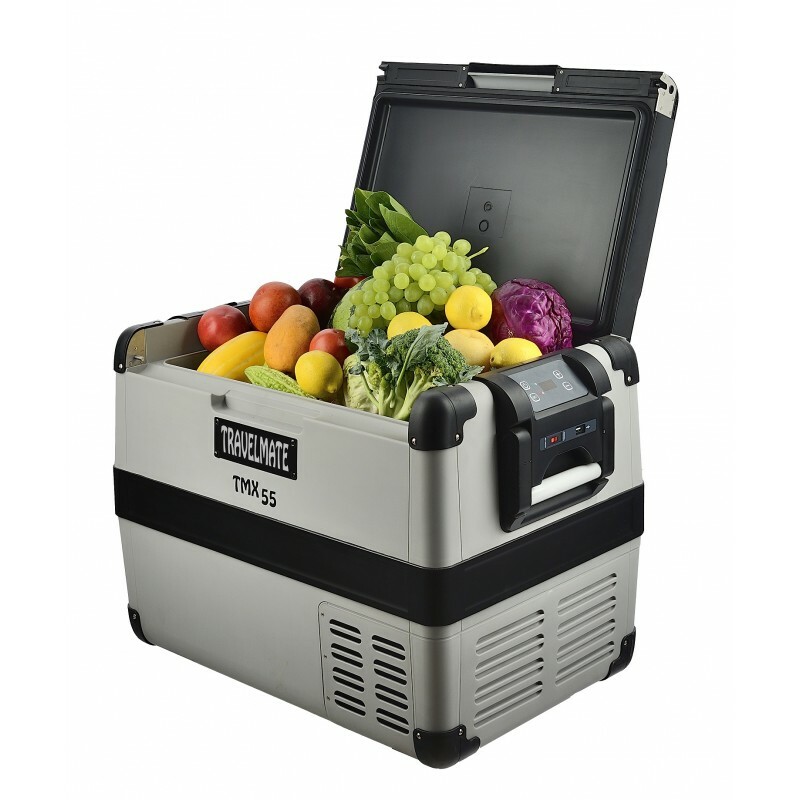 Once the App is installed you are able to control and monitor your fridge via your Smartphone or tablet. 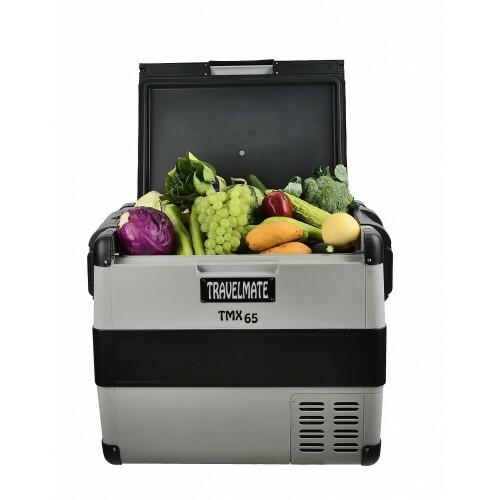 The TMX55 fridge or freezer comes with a removable basket, features a dairy compartment and if deep enough for standard wine or 2 litre soft drink bottles to stand upright. 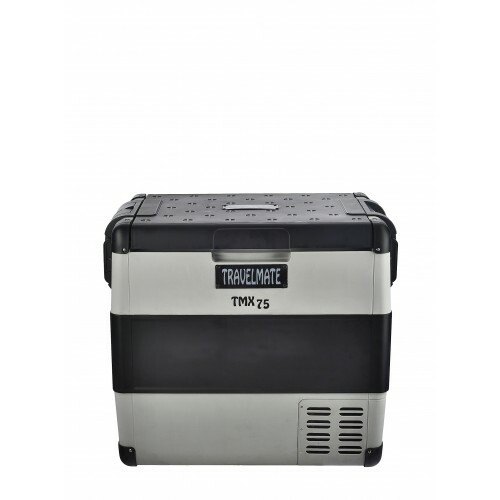 The TMX55 is side opening and the unique design enables the lid to be opened from either side or removed completely. 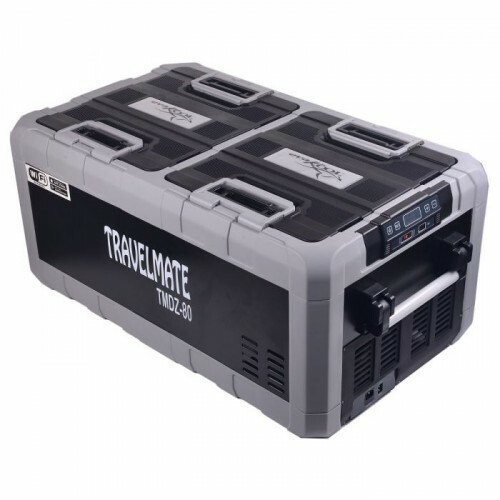 3.Does the Evakool Travelmate portable fridges come with the insulation case or is it extra? 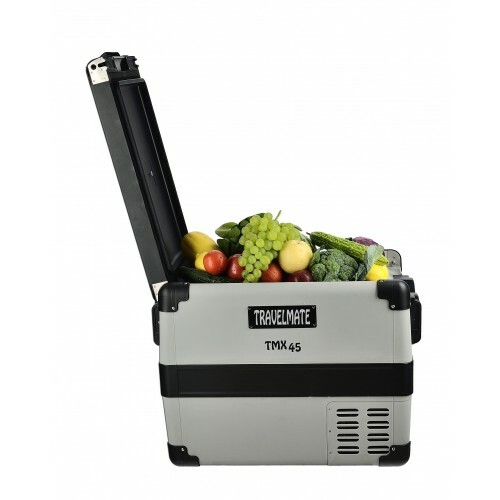 The Evakool Travelmate TMX portable fridges include the Cover for FREE, however the TMDZ (dual zone) range do not include the cover.